We’ve been having fun this week practising our Mark Making and developing skills needed for learning to write- using this book The Mark Makers by Rachel Fay- Little Learners. Fun! Most importantly for young children ..this book is fun. In my opinion mark making needs to be exciting and not something young children feel coerced into doing. After all we are trying to instil in them a love of words, writing and literature! This book certainly achieves this, with its quirky characters and interesting activities. Logical– From a parent’s point of view I liked that this book is logical in its format. The child learns that there are different ways of making marks e.g straight lines (soldier marks), curved lines (magic marks) etc and then gets the opportunity to practise and apply each method. Engaging– It’s colourful, amusing illustrations and bright colours keep children interested! 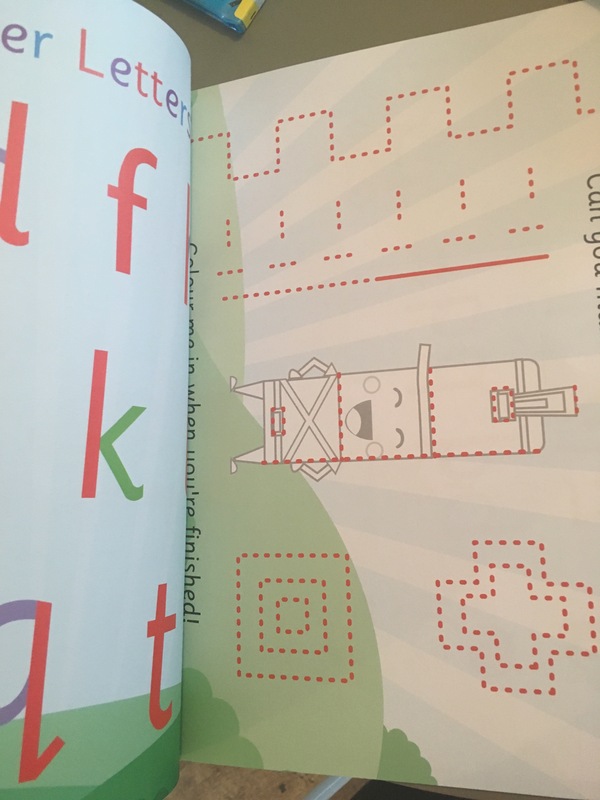 Varied-The book helps children to form numbers, letters and shapes in a multitude of different activities, ensuring children don’t lose interest. Additional Activities– We loved that this book provided ideas of inspiring activities to further develop children’s mark making skills!